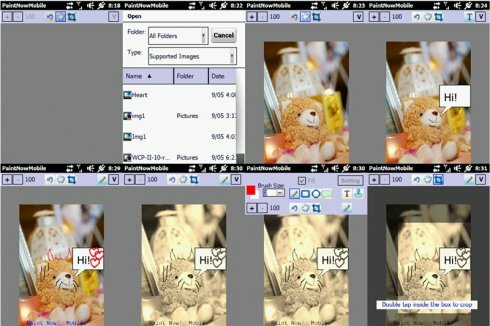 Summary: Edit/Paint your image on the way! 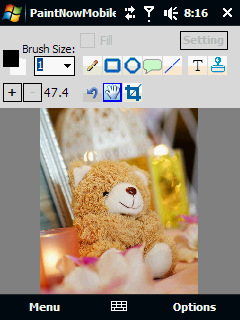 The application allows you to do some basic image editing/painting comfortably on your mobile! Guess my Omnia II processor is not powerful enough. The program hang on me when I tried to crop big file size picture. A little disappointed as this is the main reason for downloading the software. Le logiciel est fluide très simple a utiliser, mais je le trouve pas assez compler par rapport a paint sur windows.